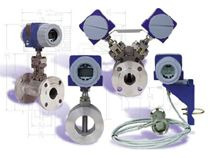 Foxboro’s vortex flow meters are your proven best choice for meeting many of the accuracy, dependability, and cost challenges your process flow applications. A single universal design handles the majority of your gas, liquid, and steam measurement needs. Simplify ordering, reduce inventory requirements, and cutting overall costs. Even after years of hard use, Foxboro vortex flow meters providepredictable, long-term accurate performance with a minimum cost of ownership.